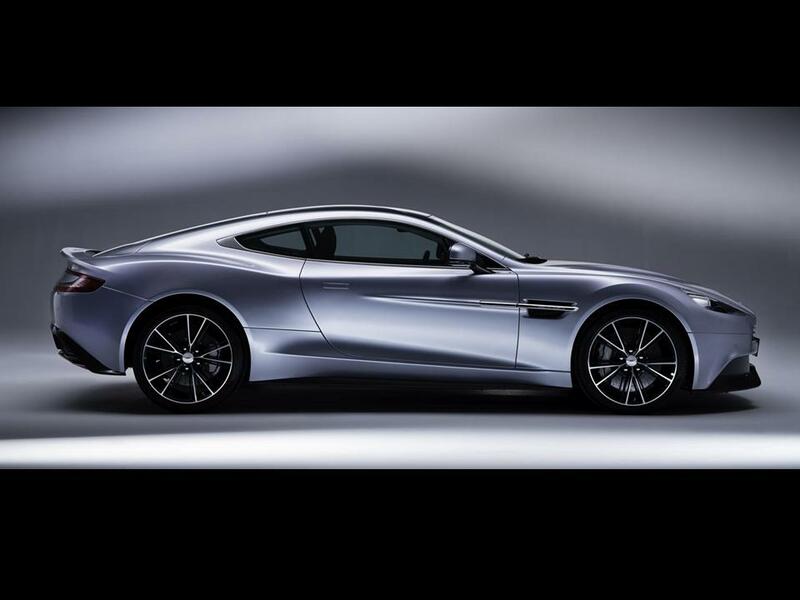 The Aston Martin Vanquish has gained notoriety as “the best Aston Martin ever.” Celebrating Aston Martin’s centenary, their designers created this special new flagship with the most advanced engineering, most beautiful design, and naturally, made of the finest materials. “100 Years of Aston Martin…..100 years of producing the most beautiful and desirable cars in the world” to quote the designers and engineers verbatim. 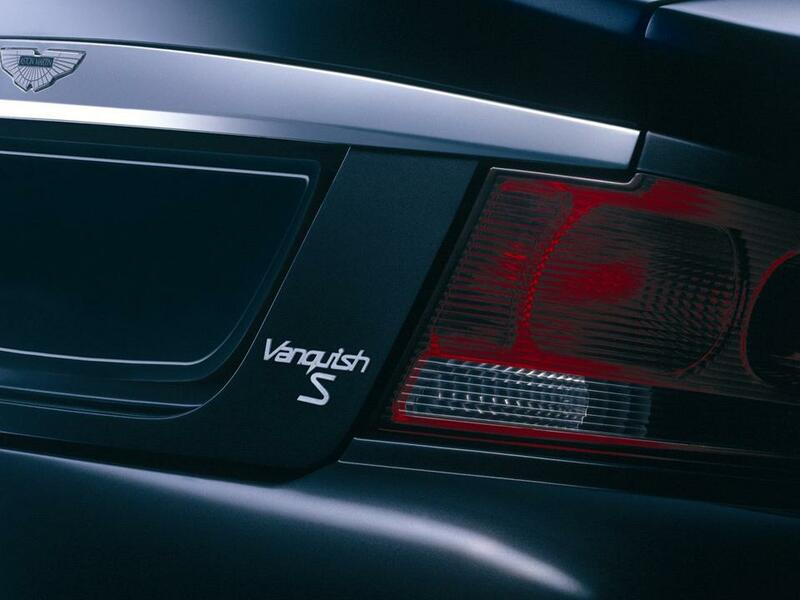 Introduced in 2001 as successor to the Virage series, the first generation V12 Vanquish was unveiled at the 2001 Geneva Auto Show. 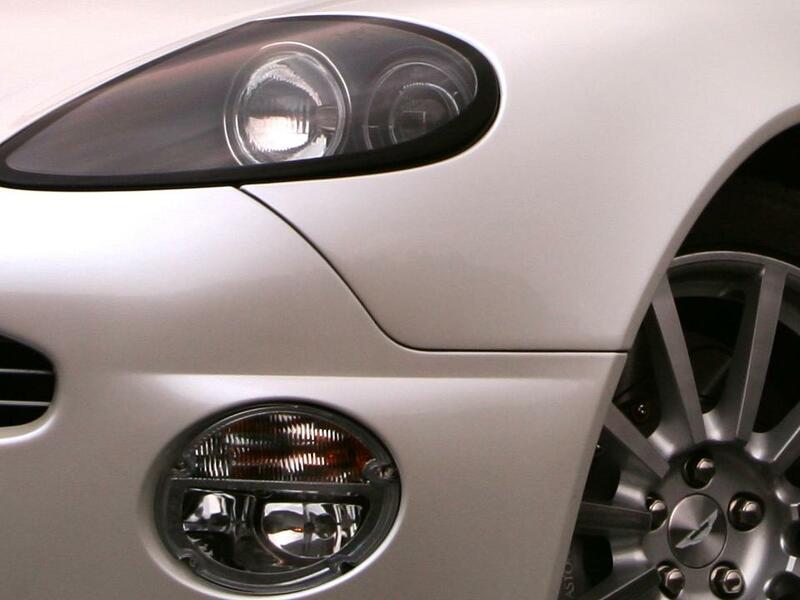 Its design was heavily inspired by the Project Vantage Concept prototype released at the North American Auto Show in 1998. This car featured an aluminium/carbon composite body with a bonded chassis (monocoque construction) made of the same materials and was available in two seating configurations: 2+0 or 2+2. 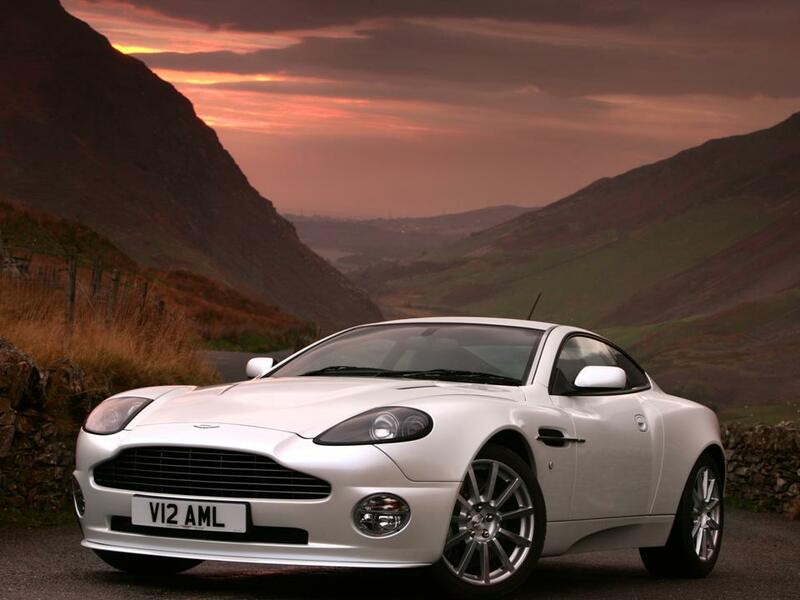 Produced between 2001 and 2005, the V12 Vanquish was the official James Bond car in 2002 for the movie “Die Another Day.” The Vanquish S was offered in 2004 with a more ferocious engine and more wind cheating design features. 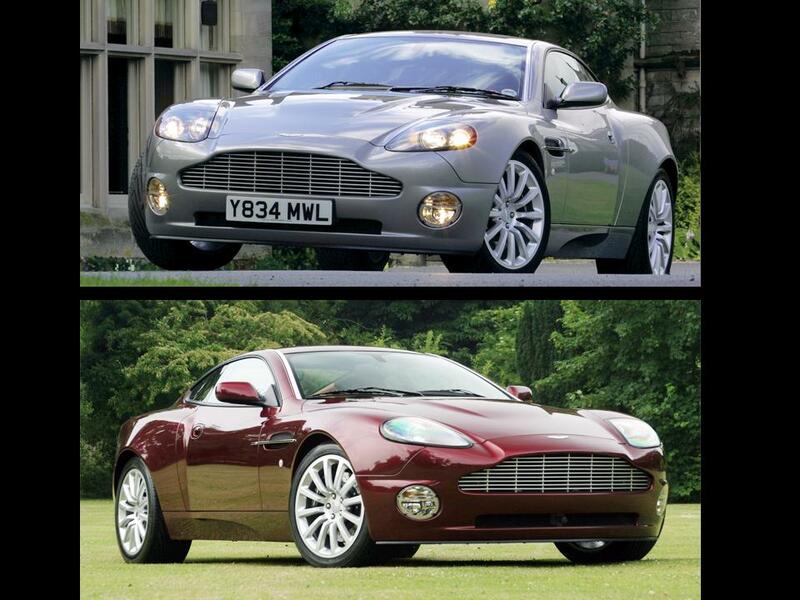 Both the Vanquish S and the V12 Vanquish were replaced by the Aston Martin DBS series. 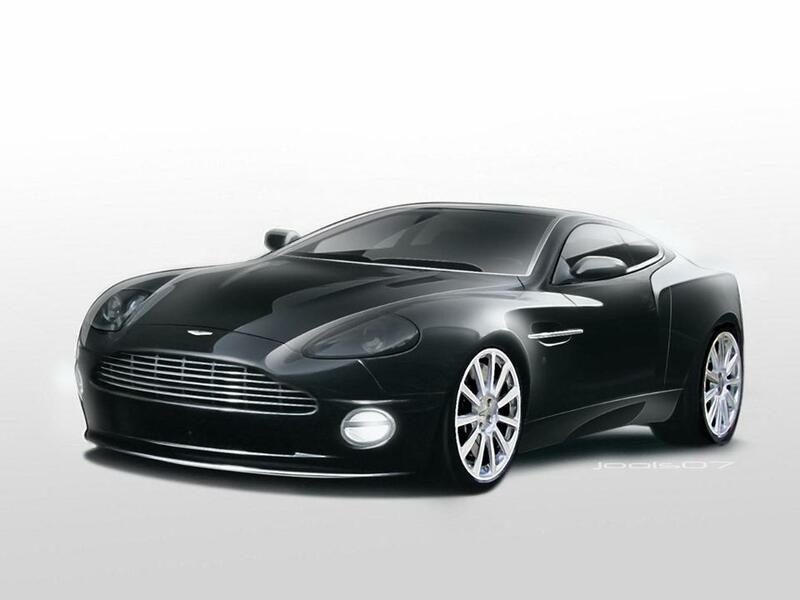 The Vanquish was based on two concept cars, the Zagato roadster and the Bertone Jet and was released at the Geneva Motor Show in 2004. 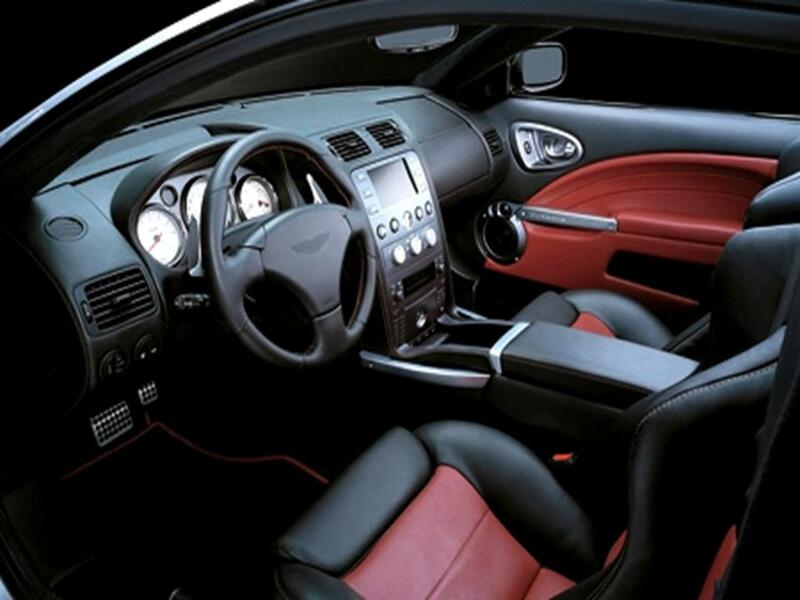 The Aston Martin S was introduced at the 2004 Paris Auto Show with power and performance enhancements along with slight styling revisions. 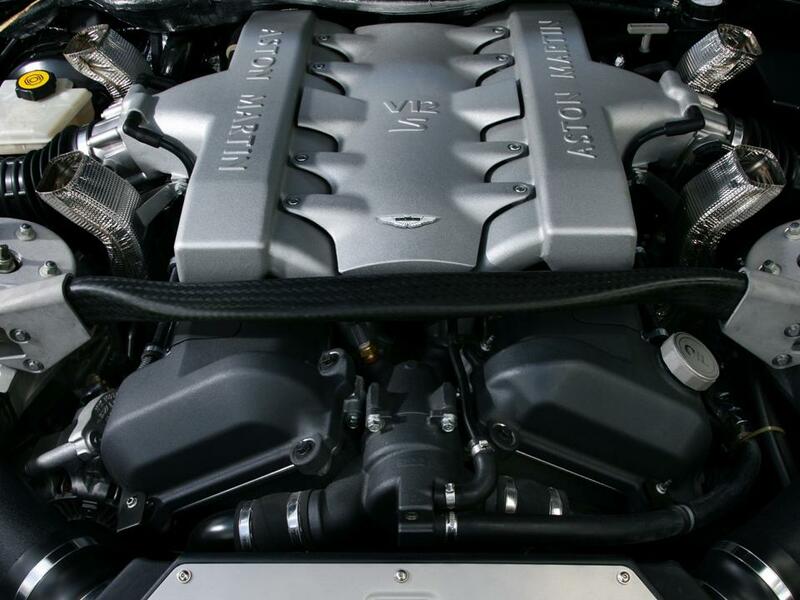 The power increased from 450 to 514 hp. 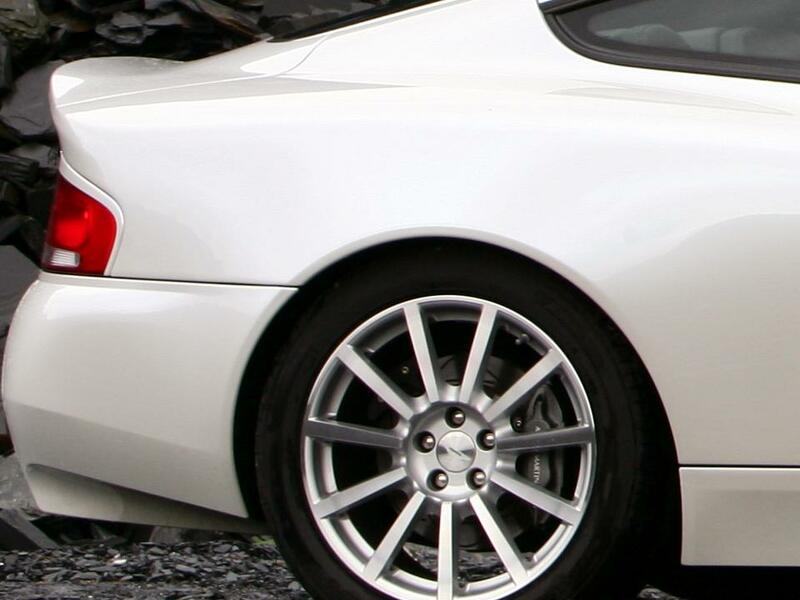 The Vanquish S had an aero dynamic front splitter and a boot lid that actually reduced the drag coefficient from 0.32 from 0.33. 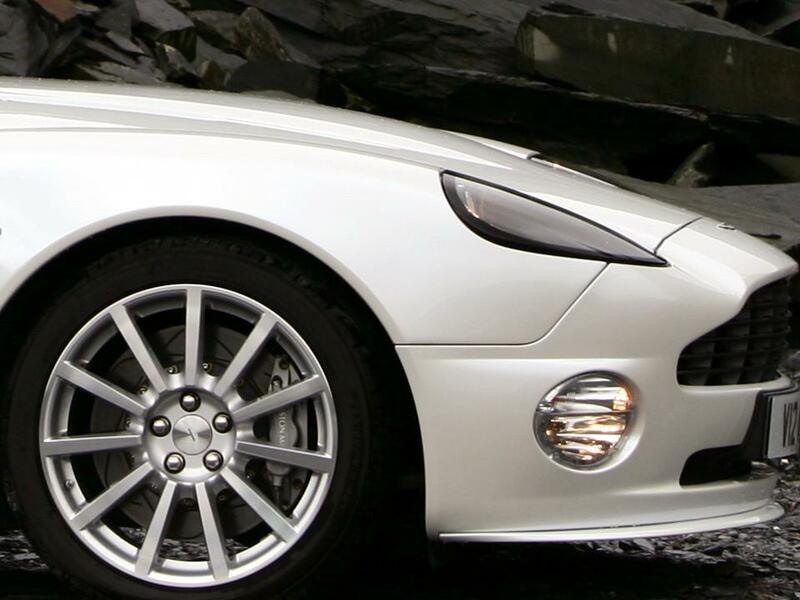 The Vanquish S was produced between 2004 and 2007. 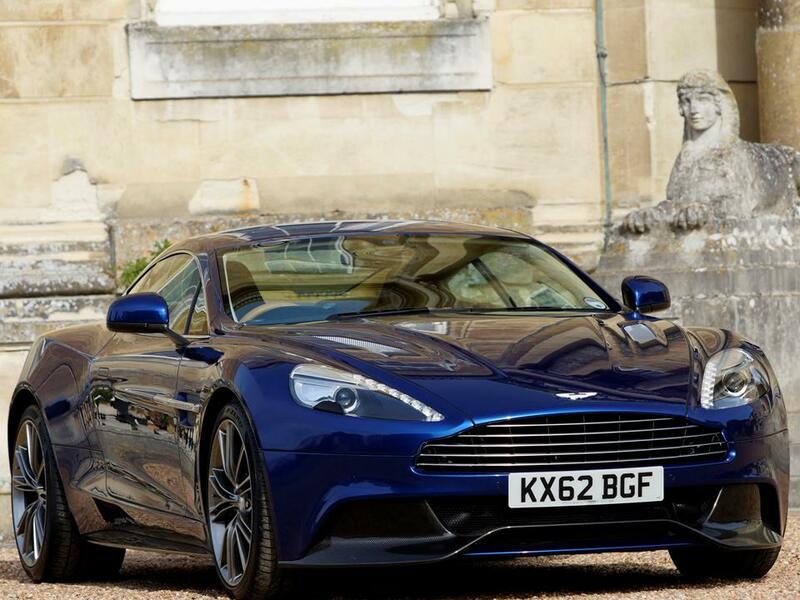 At the end of the production run, the last 40 Vanquish S models were known as the Vanquish S Ultimate Edition. 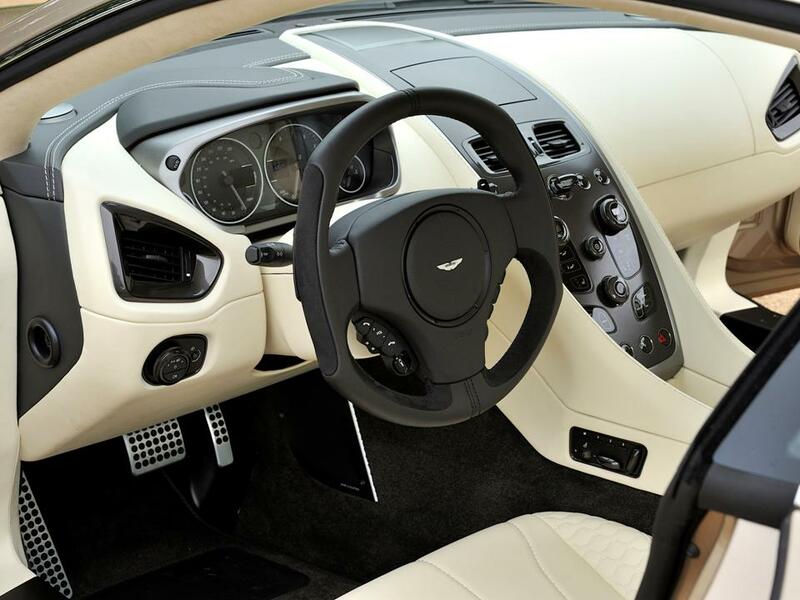 Identified by a “new ultra black finish”, upgraded cabin, and identifying door sill plates, the Ultimate Edition was the first Vanquish to have the factory option of a conventional manual gearbox, manual transmission. 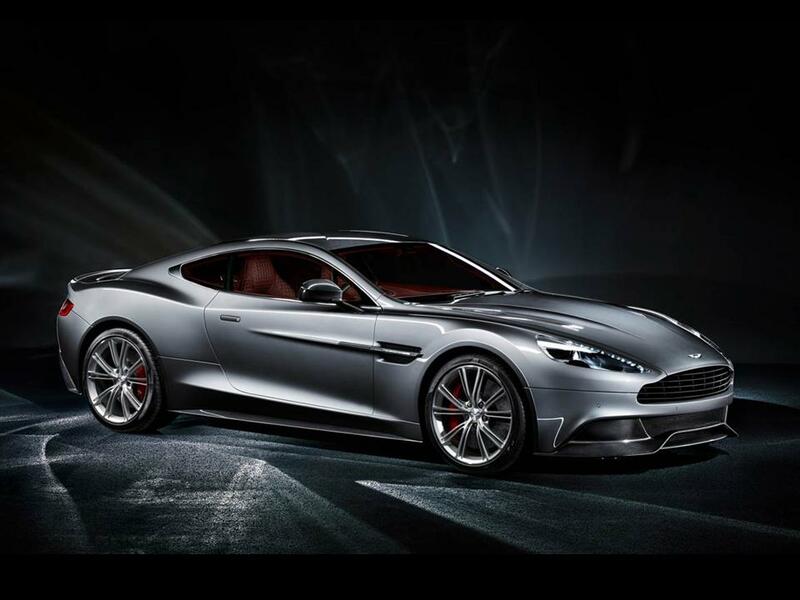 The beautiful architecture of the Aston Martin Vanquish is made from a new process of bonded aluminium and a carbon fibre VH structure. 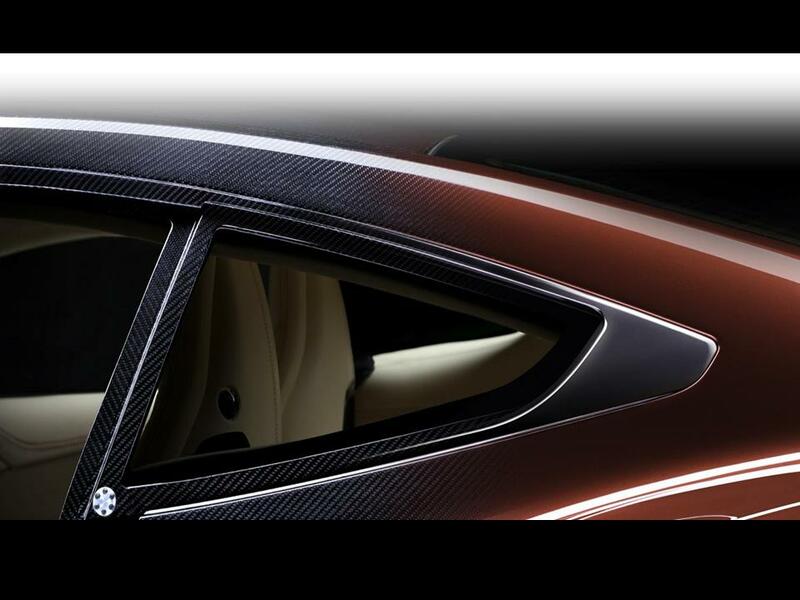 The stunning body work is all aluminium, magnesium alloy, and carbon fibre composite materials. 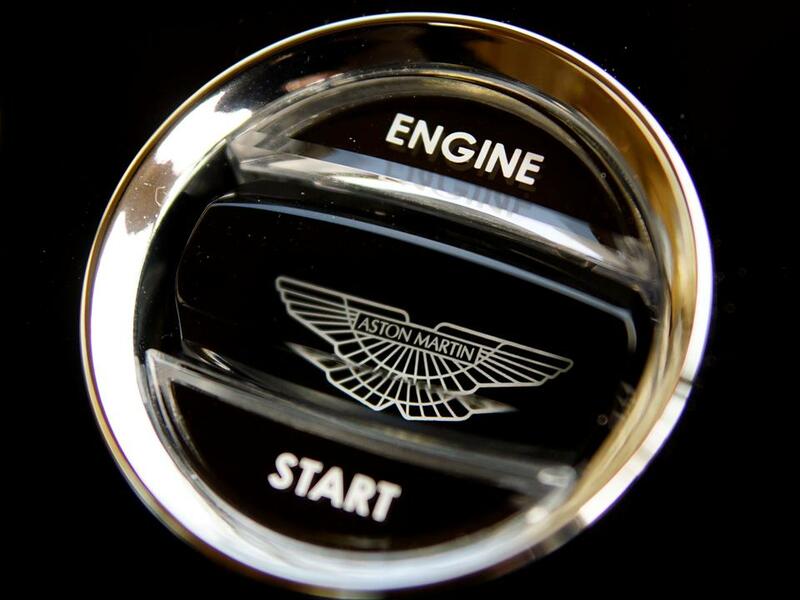 Three quarters of all components are new to Aston Martin. 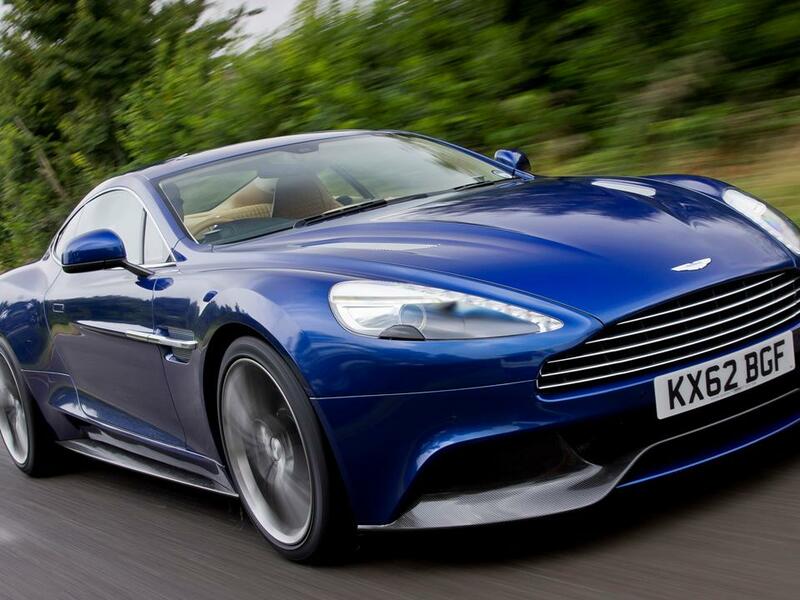 These new lightweight alloy and carbon fibre composites are stronger with a 25% increase in stiffness as compared to the Aston Martin DBS. 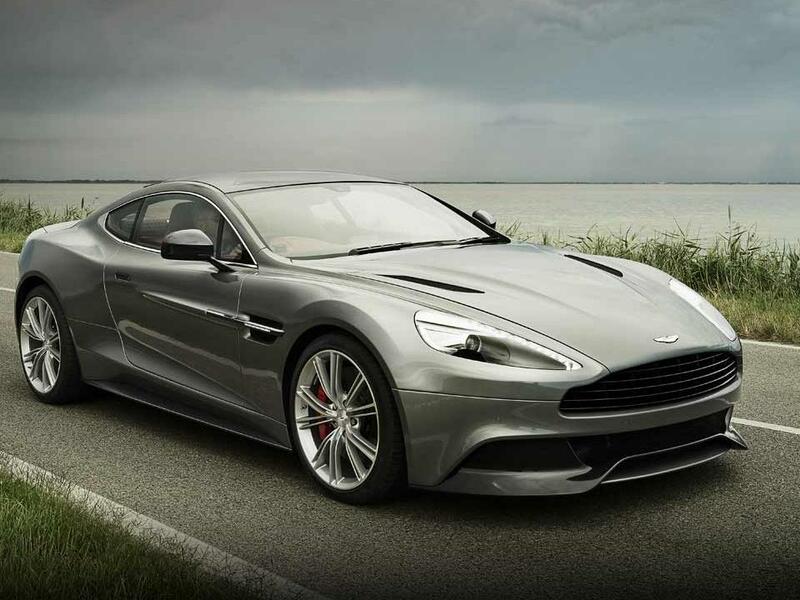 The all new exterior was inspired by the formidable Aston Martin ONE-77 and its carbon fibre/aluminium design. 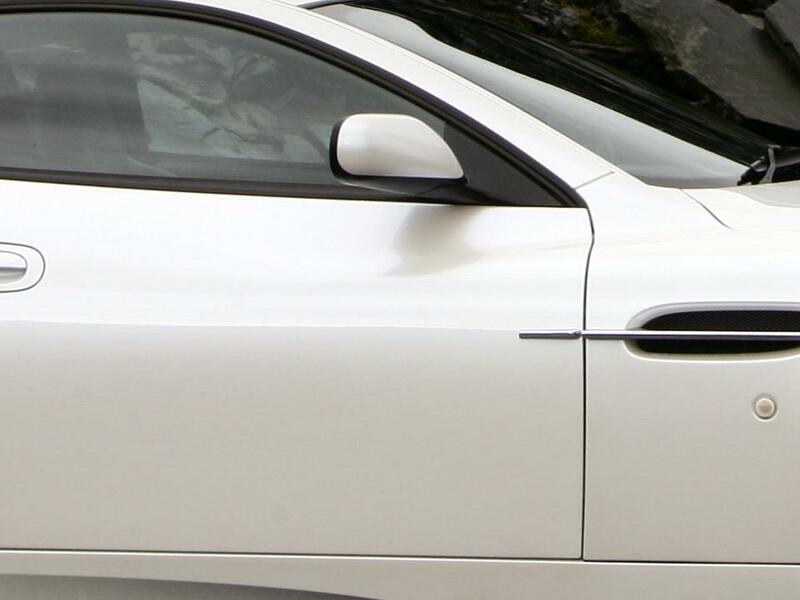 This is truly the next generation of Aston Martin genius. 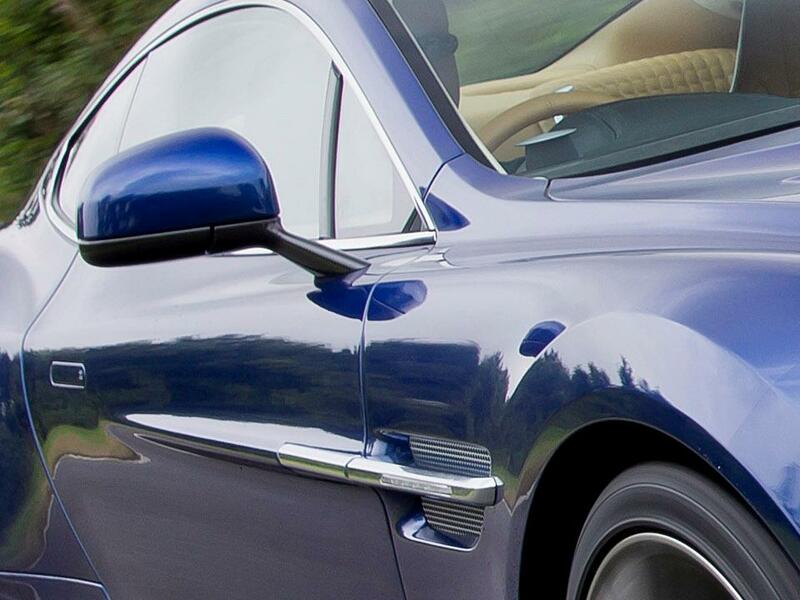 The highly sculpted body work reflects past, present, and future, truly a masterpiece by any standard. 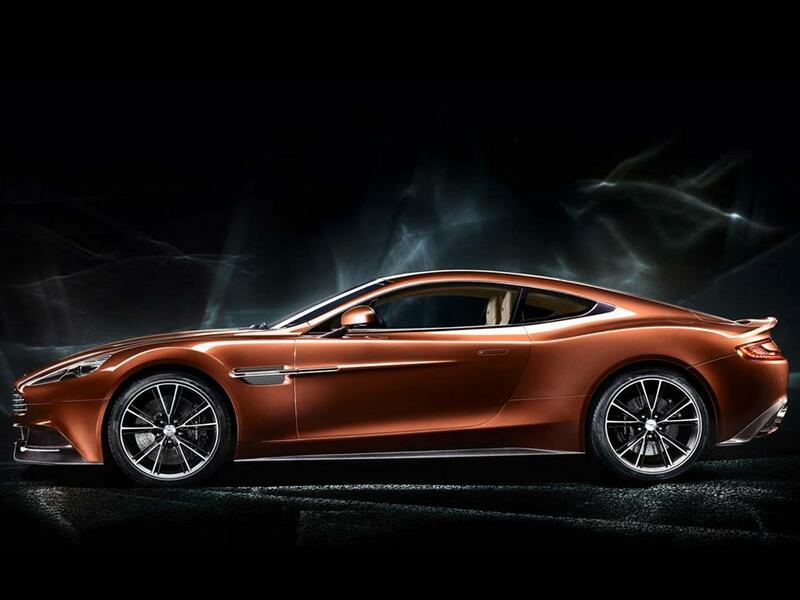 Aston Martin has yet created another beautiful work of art. 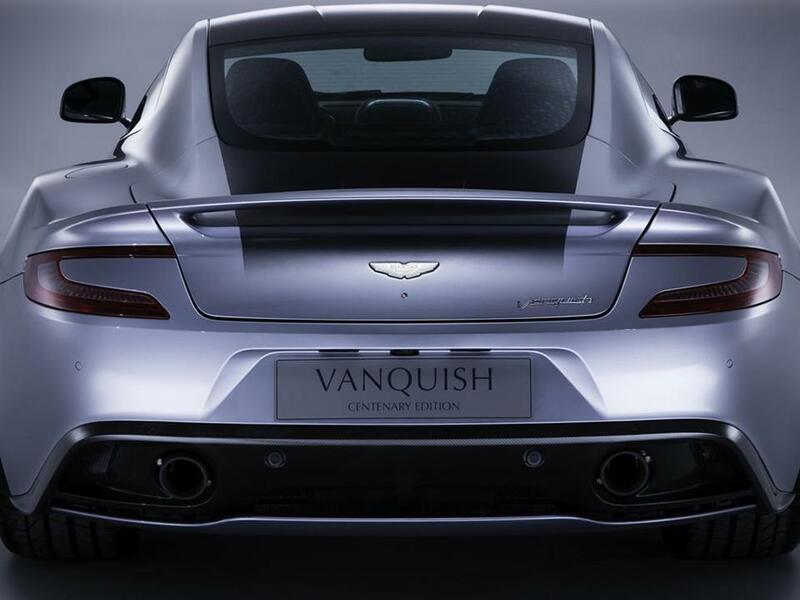 The new Vanquish is a synthesis of form and function. A synergistic approach with a continuous ring of 2X2 twill weave augmenting the front splitters, continues around the side skirts, and finishes with an exotic rear diffuser. The carbon fibre design is actually measured and positioned so the subtle weave flows precisely accentuating the luxury and elegance. 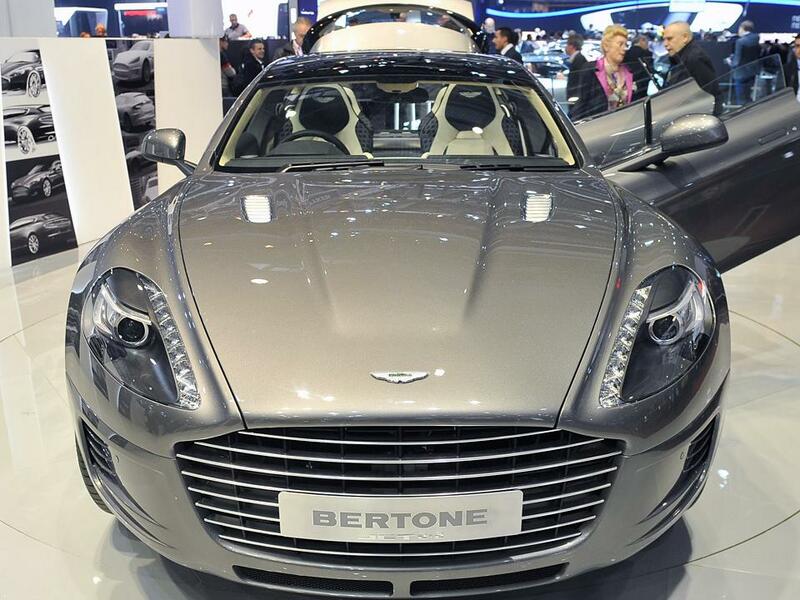 To add more panache, an exposed carbon fibre roof, door handles, and wing mirrors are available as an option. Dynamic Stability Control and Positive Torque Control synthesize a rewarding, controlled, not to mention refined Grand Tourer experience. 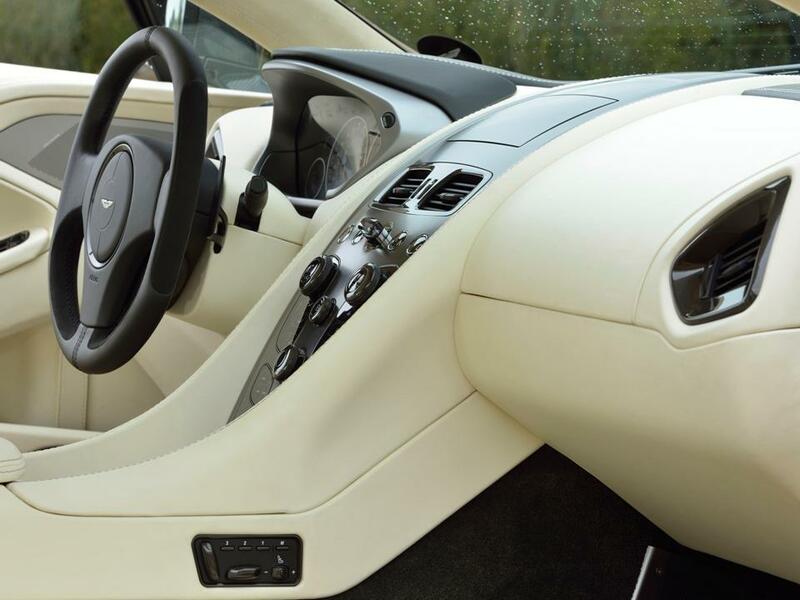 Aston Martin’s Adaptive Damping System (ADS) allows the driver to select from three different modes: normal, sport, and track. 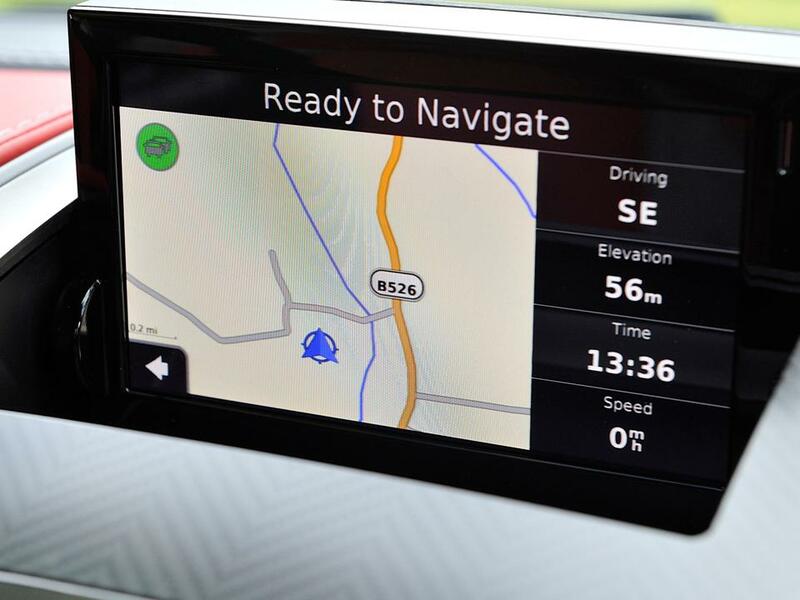 This system automatically calibrates the car’s ride & handling characteristics. This allows the Vanquish to perform as a docile city cruiser, or the driver can “unleash the beast” with the sport and track modes. The ADS adjusts the suspension settings ensuring that the driver has full control at all times with the ability to respond quickly to different driving situations. 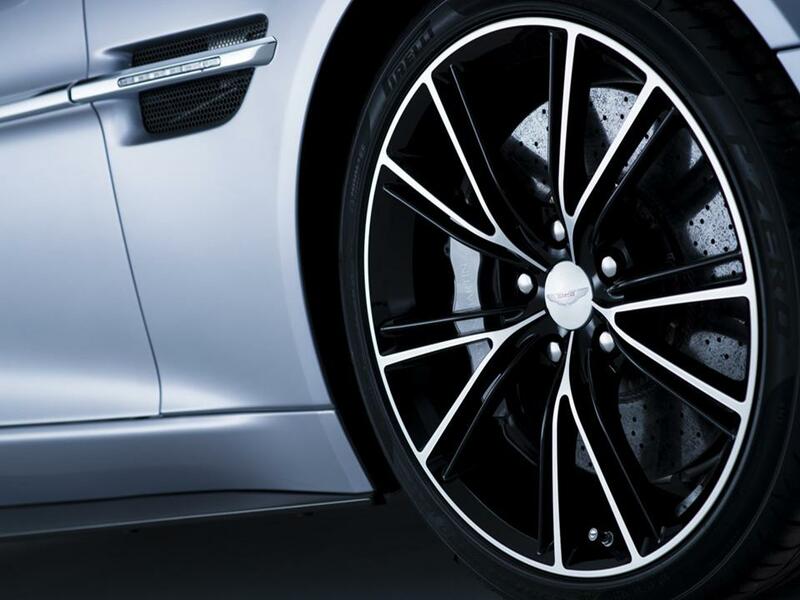 The new Vanquish uses a third generation Brembo ventilated Carbon Ceramic Matrix (CCM) braking system which delivers shorter stopping distances and is fade resistant. 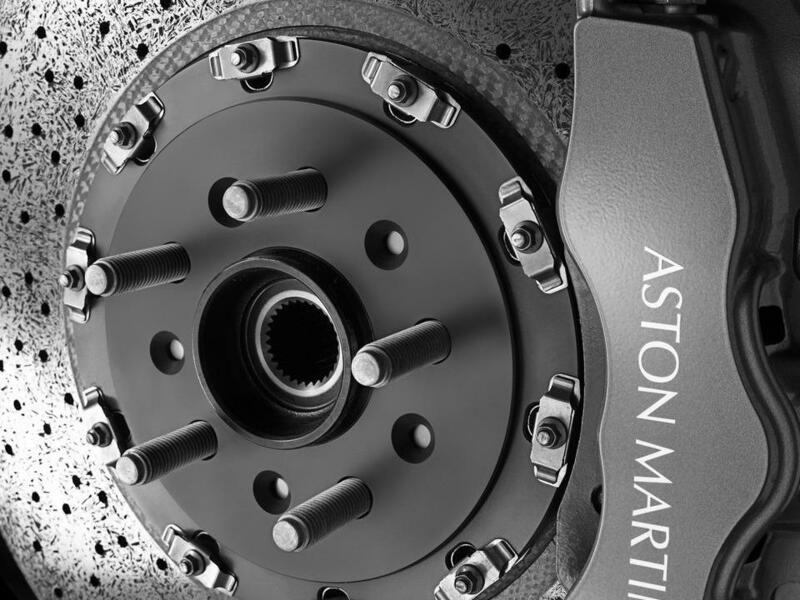 CCM brakes are lighter which helps to reduce the vehicle’s unsprung weight. 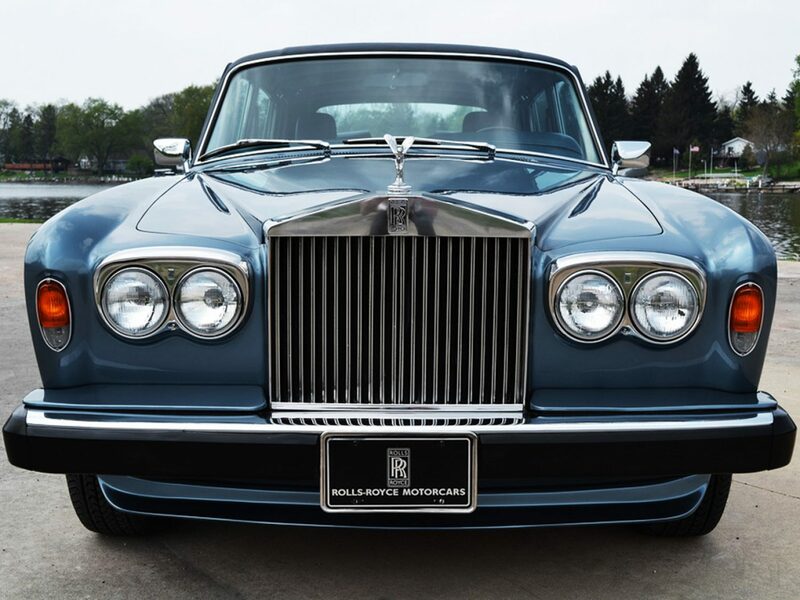 The front is fitted with 15.7” six piston caliper discs and fitted with 14.2” four piston caliper discs in the rear. 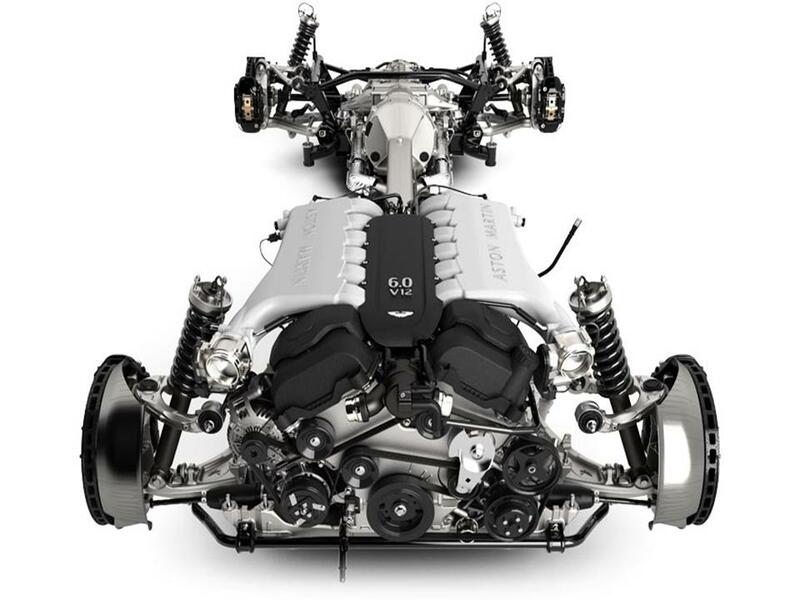 The suspension has a lightweight aluminium front sub frame with hollow castings, independent double wishbone using anti-dive geometry, coil springs, anti-roll bar, and monotube adaptive dampers. Independent double wishbones with anti-squat and anti-lift geometry, coil springs, anti-roll bar with monotube adaptive dampers are used in the rear. The tires are Pirelli P Zeros, 255/ZR20 fitted to the front and 305/30ZR20 in the rear. 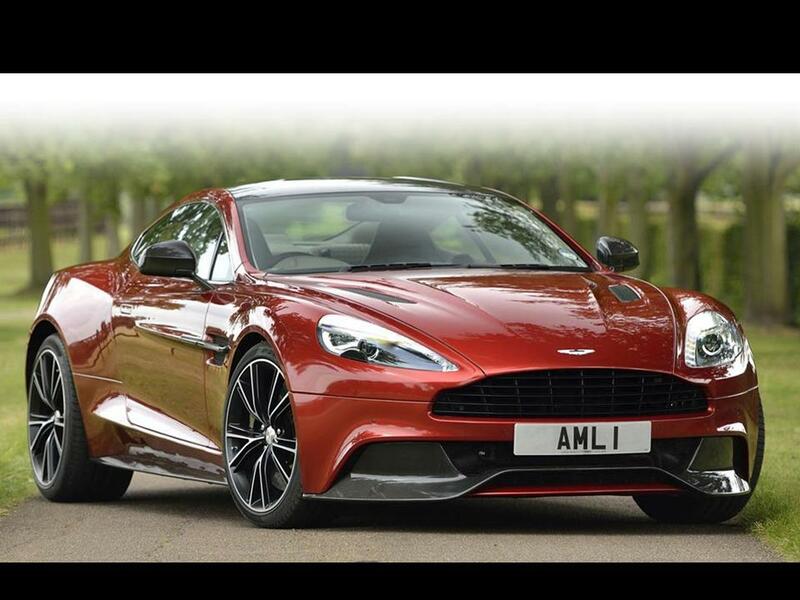 For those who want a more sporting ambience, there exists the Vanquish S with slightly more power, upgraded brakes and tires, improved air intake air flow, and new programming that keeps the exhaust system’s bypass valves open longer for the increase in power. 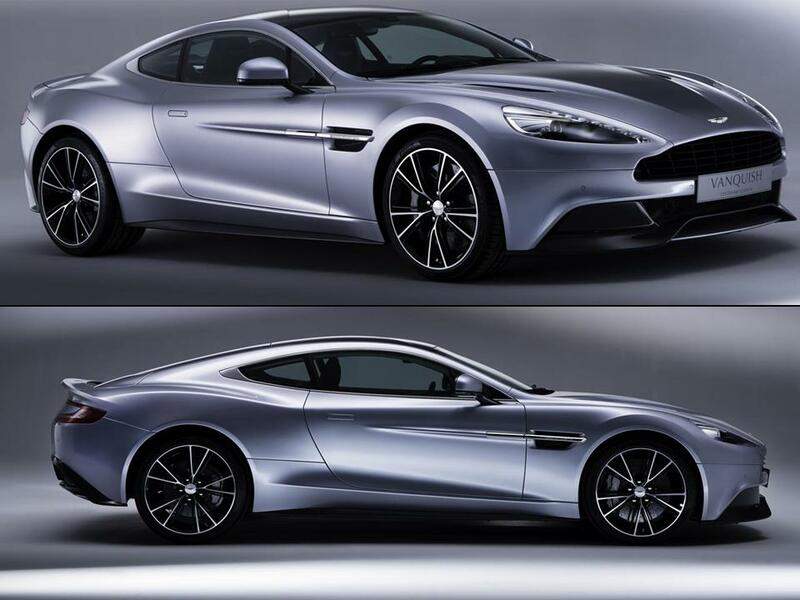 The outer differences of the Vanquish S are its V12 inspired rocker panels, rear deck lid, and its front and rear fascias. 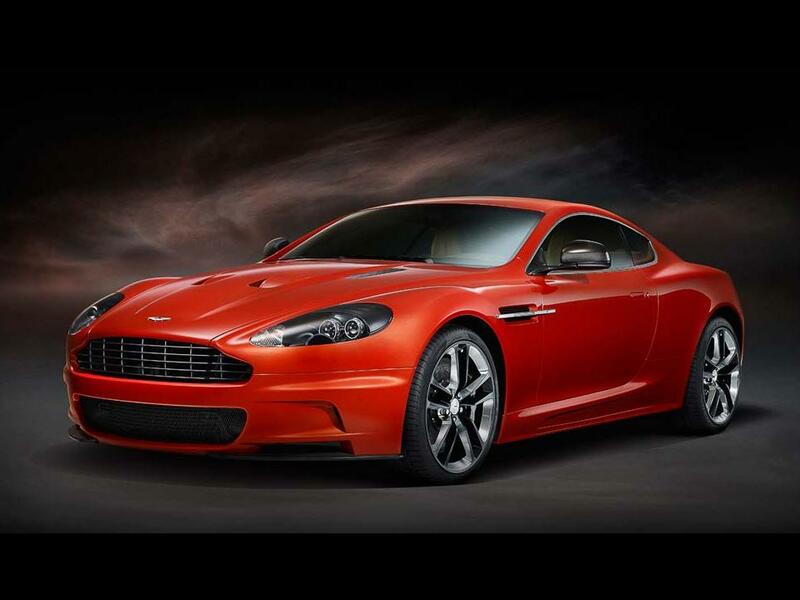 Aston Martin has been the purveyor of high performance cars since 1913. 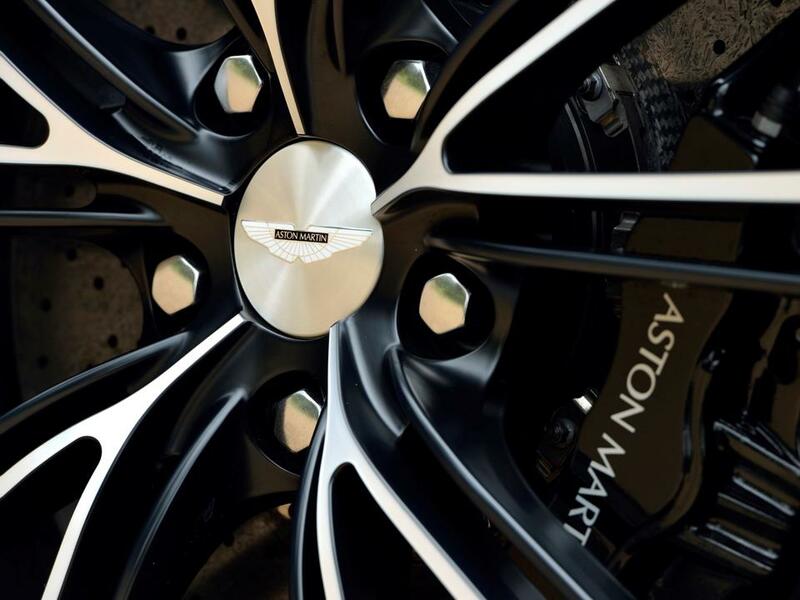 As part of the 100 year celebration, a special Centenary Edition featuring a unique graduated paint finish, and Sterling Silver Aston Martin winged badges with a tailored ‘trans flux’ enamel inlay and a special Aston Martin hallmark. 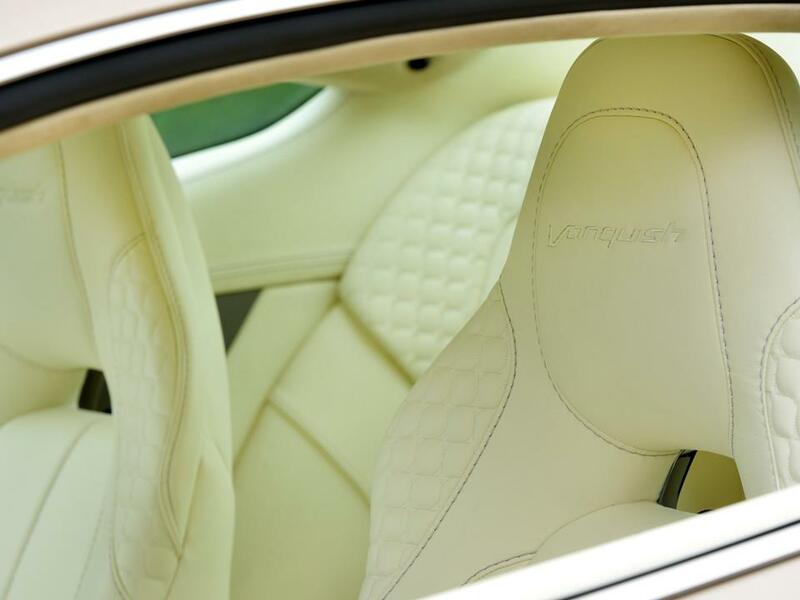 This limited edition is built at a restricted pace of only 100 units and augments the already luxurious nature of the Vanquish. Its graduated paint finish requires an additional 18 hours to the regular 50 hours it takes to complete. 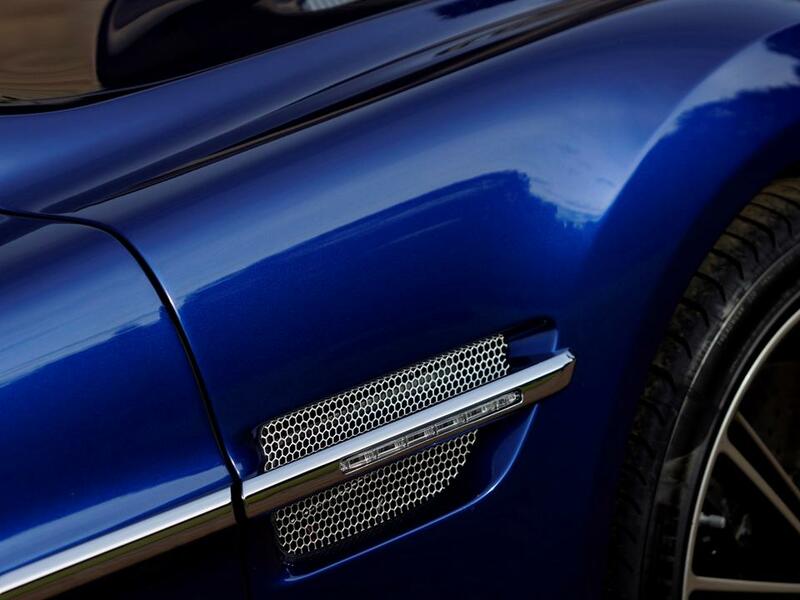 This special technique “builds” the paint finish by adding special ‘tinters’ creating the dark inner color then hand applied to each panel by hand using a special mini jet spray gun. 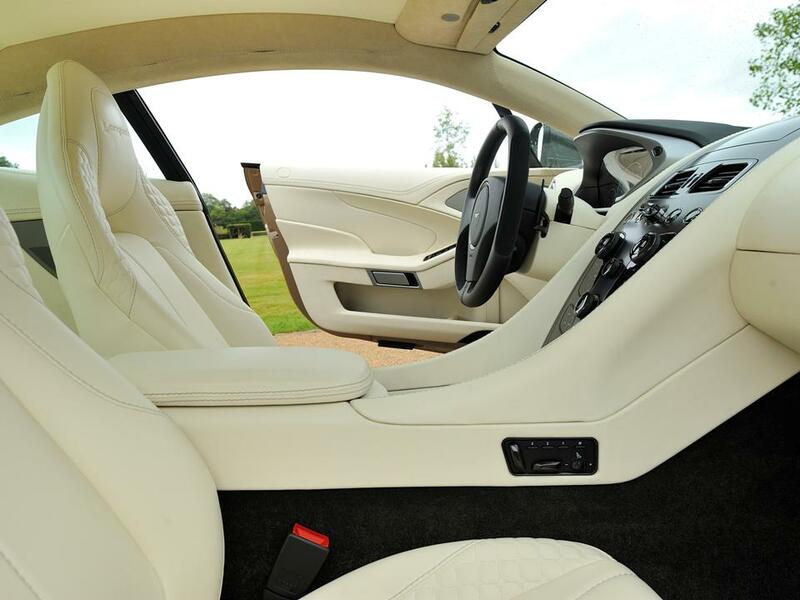 Interior is equally as exclusive. 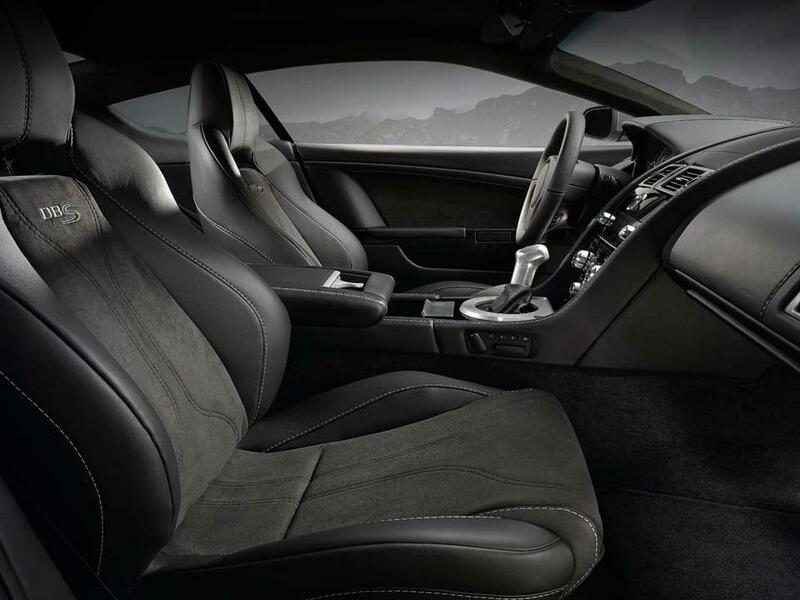 The Centenary Edition The uses the same deep dark leather with contrasting silver stitching used in the ONE-77. 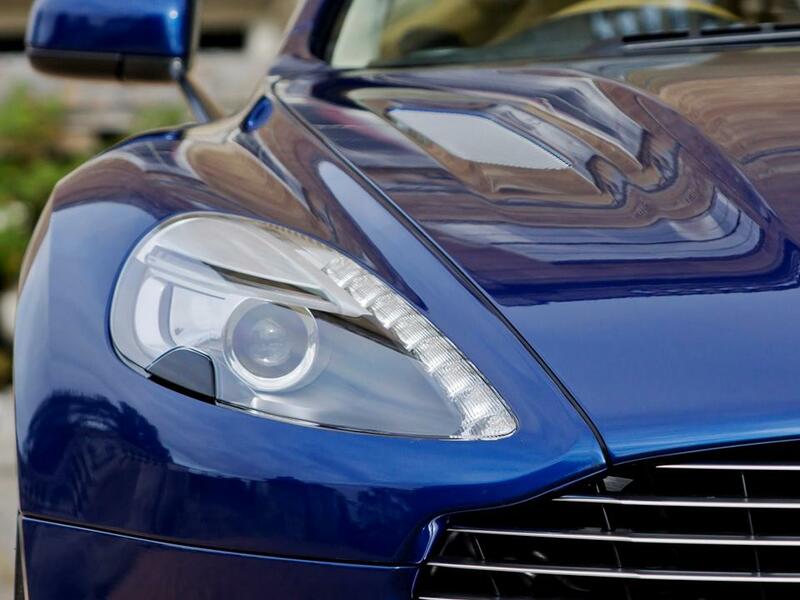 Special silver thread embroidered Aston Martin wings are applied to the head restraints. 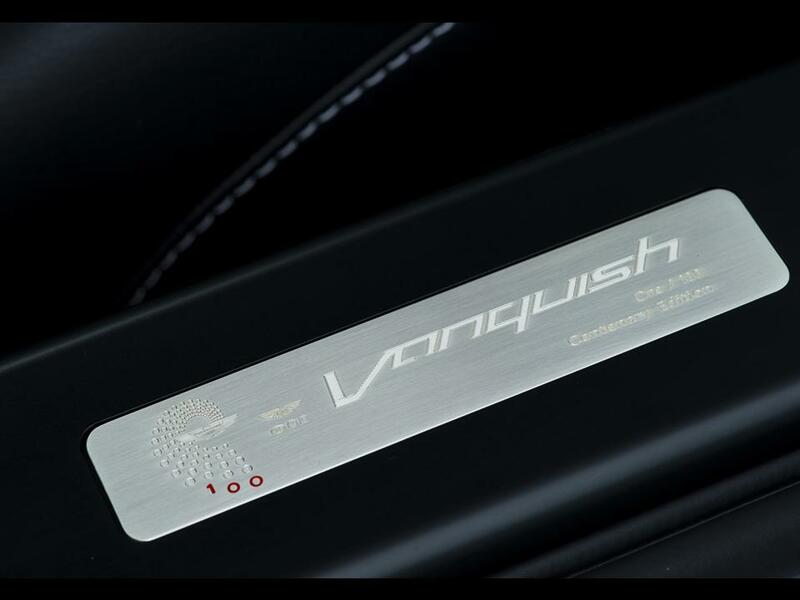 Sterling Silver door sill plates individually numbered with the Aston Martin hallmark exhibits the fact that this is no ordinary car. 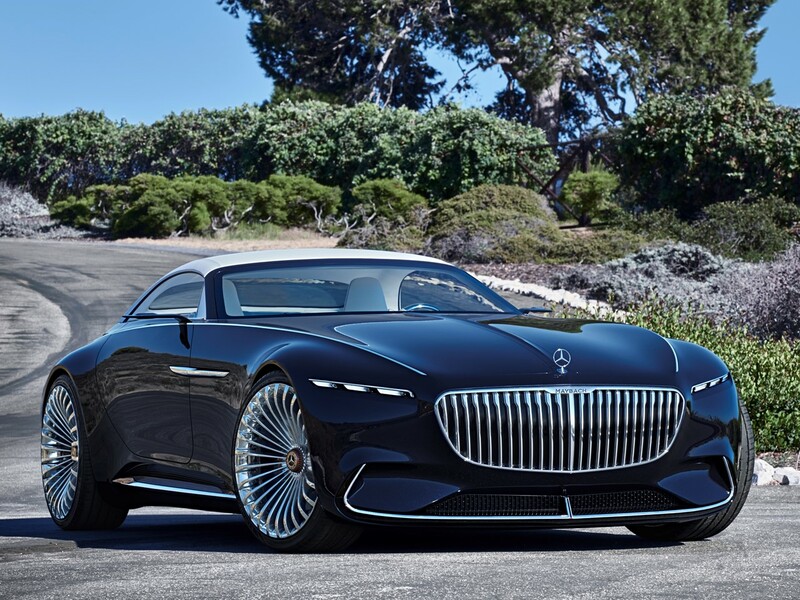 Beauty, luxurious elegance, and NOTORIOUS performance highlight this Super Grand Tourer. Aston Martin begins its second 100 years with impressive technology, exemplary engineering focus, and dedication to quality, fit, and finish. 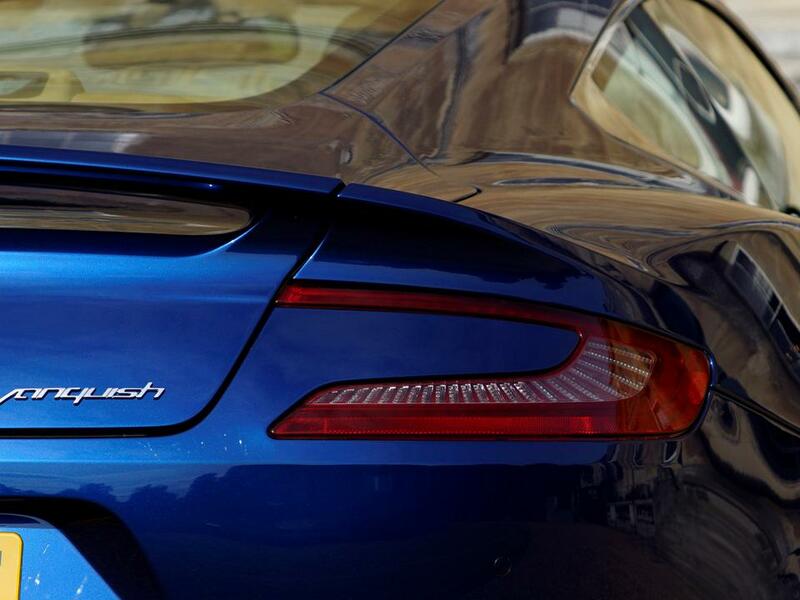 The Aston Martin philosophy is writing chapters in automotive history…….of what a Super Grand Tourer should be. I’m often to blogging and i actually recognize your content. The article has really peaks my interest. I’m going to bookmark your website and preserve checking for brand spanking new information. my end? I’ll check back later on and see if thee problem still exists.